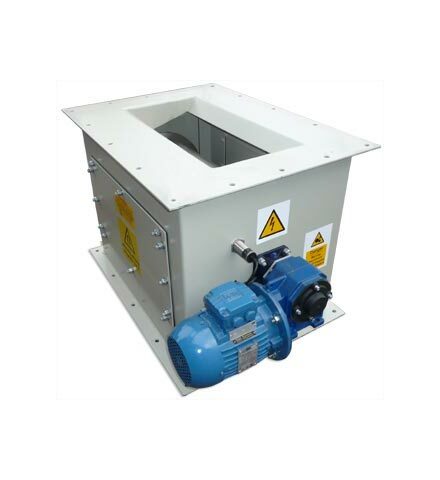 Magnetic Head Rollers (also known as Magnetic Pulleys) are positioned at the “head” of belt conveyors, at the discharge end, to extract metal contamination from the product on the belt. 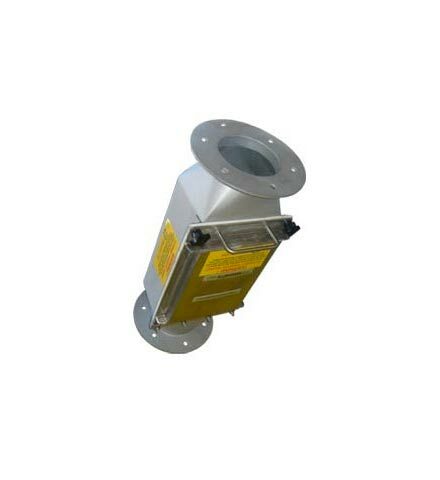 Incorporated into an automatic system for continual separation, as the roller rotates, it holds the tramp metal while clean product is discharged. Finally as the belt leaves the roller, the magnetism dissipates and the unwanted contamination falls from under the belt into a separate receptacle. This type of magnet acts as secondary protection for deeply embedded metal in the product, which may have not been initially extracted by an overhead suspension magnet. The quality and purity of the processed material is thus improved substantially. 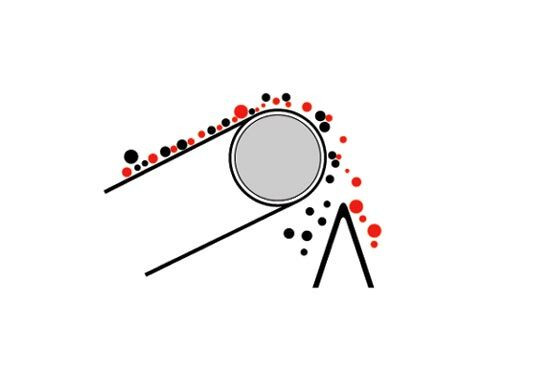 Examples of applications are industrial processes that involve dry, free-flowing materials such as plastics, powders, grains, wood waste, rubber, etc. Magnetic head rollers are available built to specification, with end shafts supplied to your requirements; this means that details such as a “crowned” face can be implemented in the design, if needed. Machining the face of the roller into what resembles the shape of a barrel gives the advantage of helping the belt to track better on the roller. This is particularly useful if there is no tensioning system already built into the overall setup to control the lateral movement of the belt. 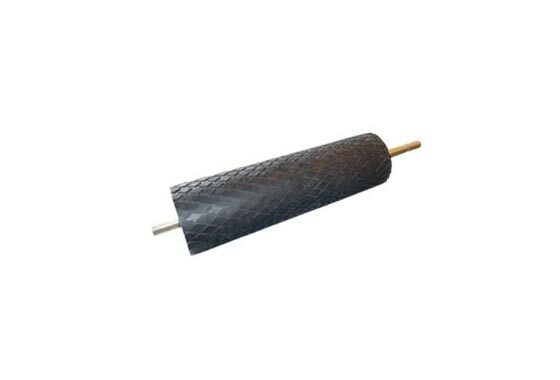 Similarly the roller can be supplied with rubber lagging, glued to its surface; the purpose of this is to stop the rubber conveyor belt slipping on the roller. 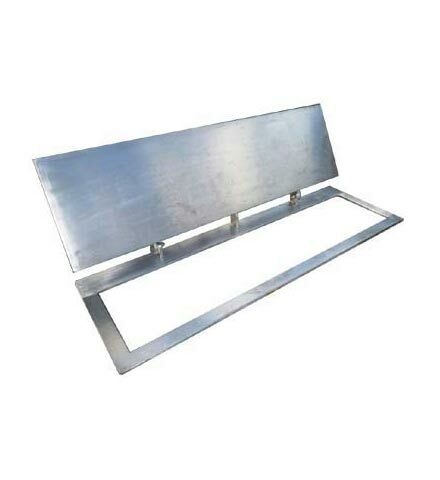 A magnetic head roller can be designed to fit an existing conveying system; alternatively it can be part of an overall original plant machinery design; whatever the circumstances, it can be installed easily. 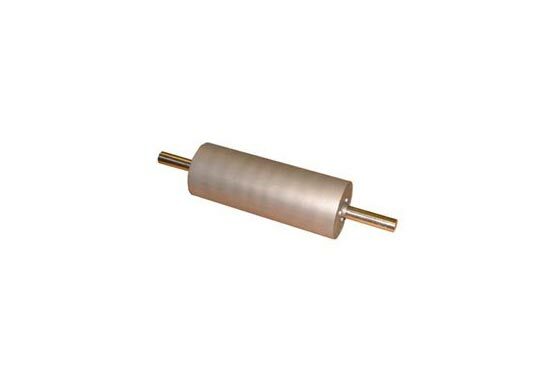 The roller is constructed out of stainless steel, 304 SS quality, which gives strong corrosion resistance. The Ferrite roller has a typical strength of 1500 - 2000 gauss; the high-intensity Rare Earth magnetic roller, the most powerful available of this type, has a strength of 3500 gauss, giving it the capability of removing smaller particles. One of the most practical aspects of the magnetic head roller system, installed at the discharge end of the conveyor, is the fact that it is self-cleaning, requiring little or no maintenance. 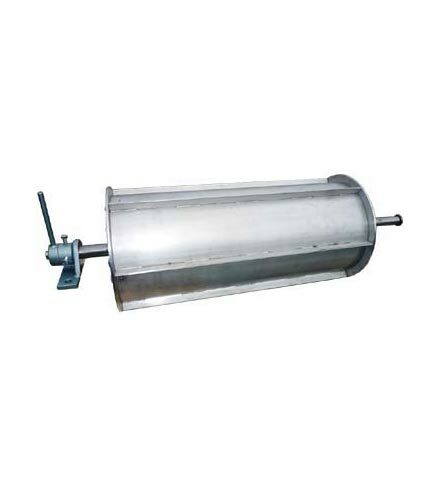 The clean product comes directly off the head roller, while the metal is held to the conveyor belt. 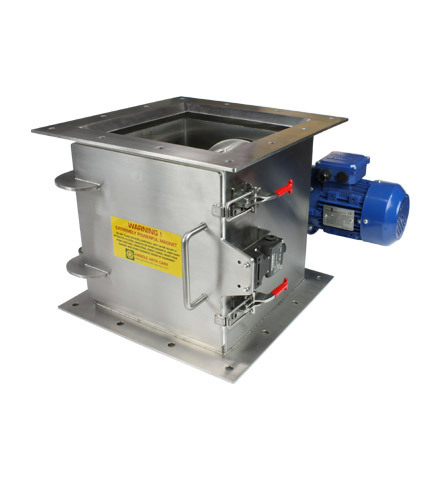 As the belt moves away from the roller, the metal is released – ideally down a waste chute, thus effectively turning the conveyor into a self-cleaning magnet. In addition, the continuous, permanent and power free qualities of the magnetic head roller system mean that no electric power input is needed to operate it; furthermore, the typical loss of magnetic field strength over the period of a year, for example, is negligible, perhaps < 5%, (unless exposed to heat, shock or vibration), representing an economical way of ensuring a superior end product. Ferrite head roller for a MRF plant. Face width 1555 x 218mm dia. Crowned face. Shafts machined to order. 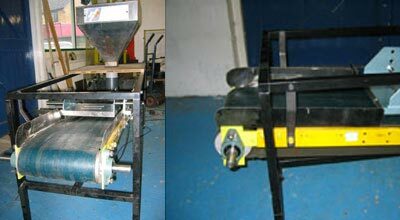 Rare Earth (3500 gauss) rubber lagged magnetic head roller for tyre recycling facility.